Some of the most important traits in lacrosse are speed, hand-eye coordination, and the ability to stay calm under pressure. 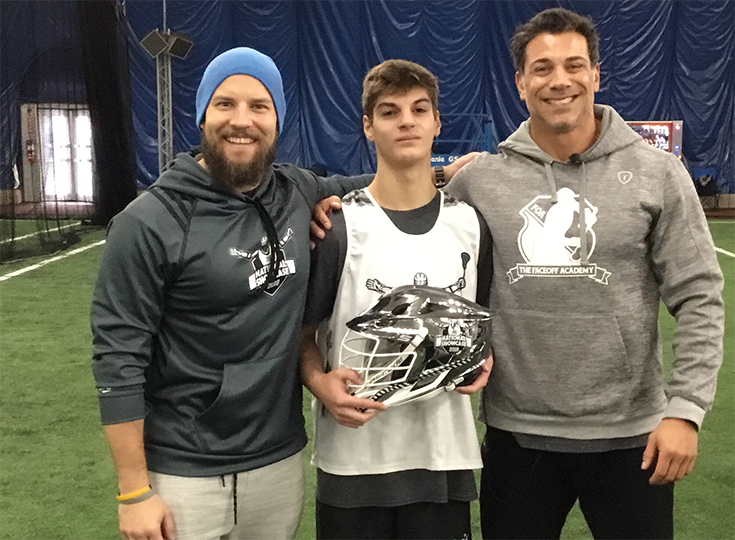 Robert Simone ’23 was able to put all of these skills to the test this past weekend at the 2018 Faceoff Academy National Championships at the Superdome in Waldwick, New Jersey. Simone competes for the club team Building Blocks Lacrosse and goes against other players in faceoffs every week. He was voted in by local coaches to compete in the national event. It was the second year in a row that Simone made it to the national stage, and while he was a bit nervous the first time he competed, he had a more relaxed approach to the competition this year. It certainly paid dividends as he continuously advanced past each best-of-five round and even came back from being down 2-0 in the semifinals. In the championship round, Simone was able to claim the title with an exclamation point as he swept his opponent and won three straight faceoffs.